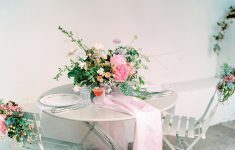 One of the things I love most about working in the wedding industry is watching how the trends for styling a big day are constantly changing and evolving. 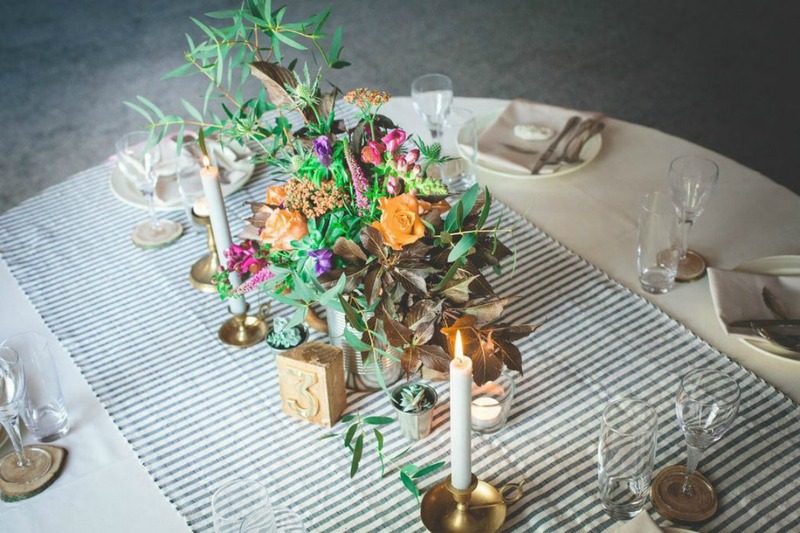 And I particularly love it when a trend takes me by surprise – a few years ago bohemian styling was never on my radar, but now I absolutely love it. 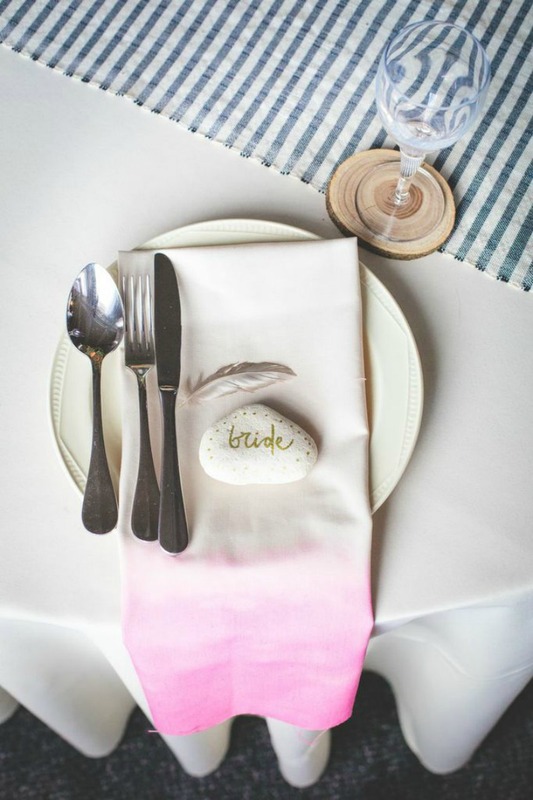 In fact, the watercolour ombre napkins in today’s post are a current obsession of mine and I’m hoping we’ll get to see a lot more of this micro trend across the board for summer 2015 weddings. 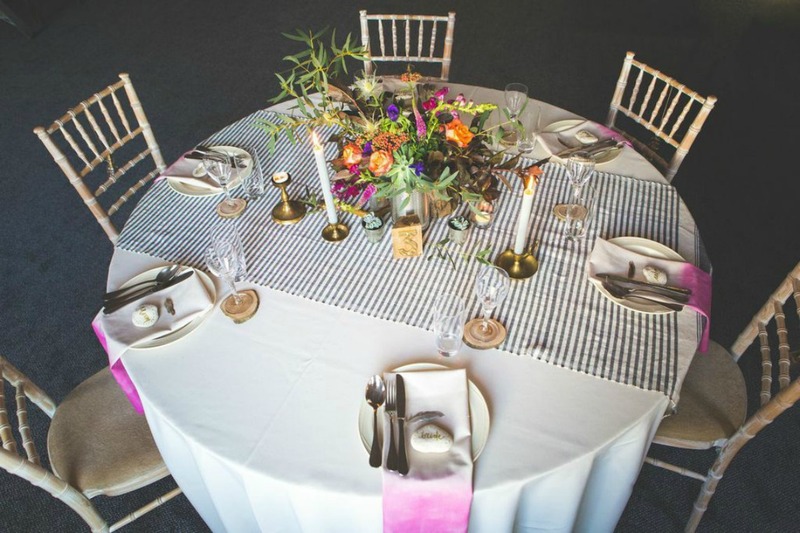 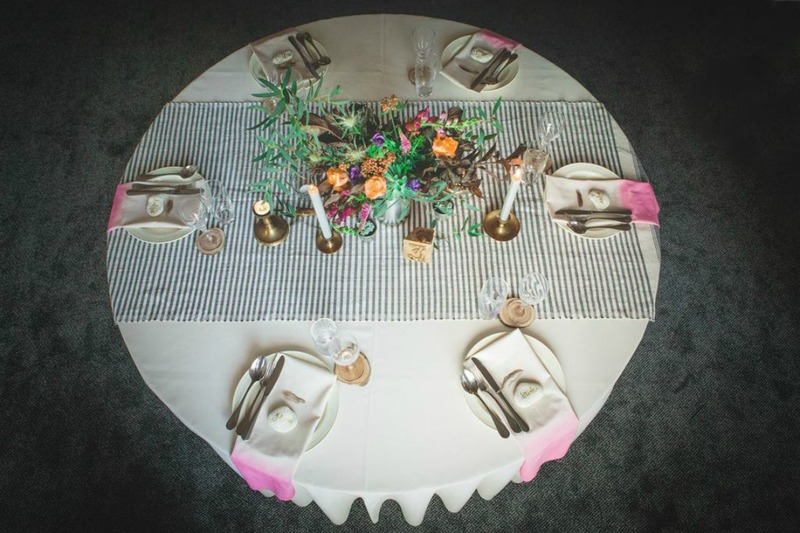 Anyway, back to today’s post – first published by Norfolk and Suffolk Brides Magazine, this luxurious modern bohemian tablescape is just stunning. 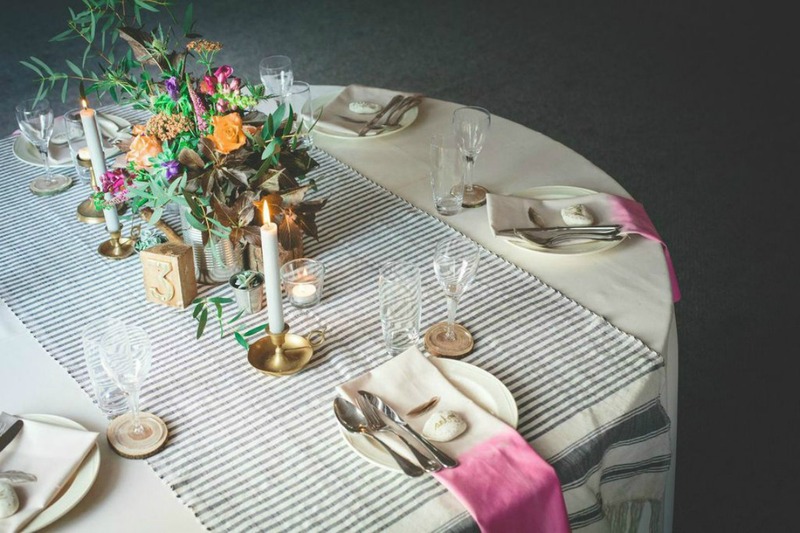 I love the mix of pattern and colour, which has been styled beautifully by The Little Lending Co. and shot by the fantastic Beth Moseley Photography. 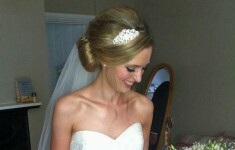 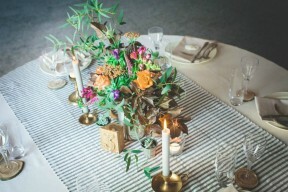 Perfect inspiration for any boho bride-to-be! 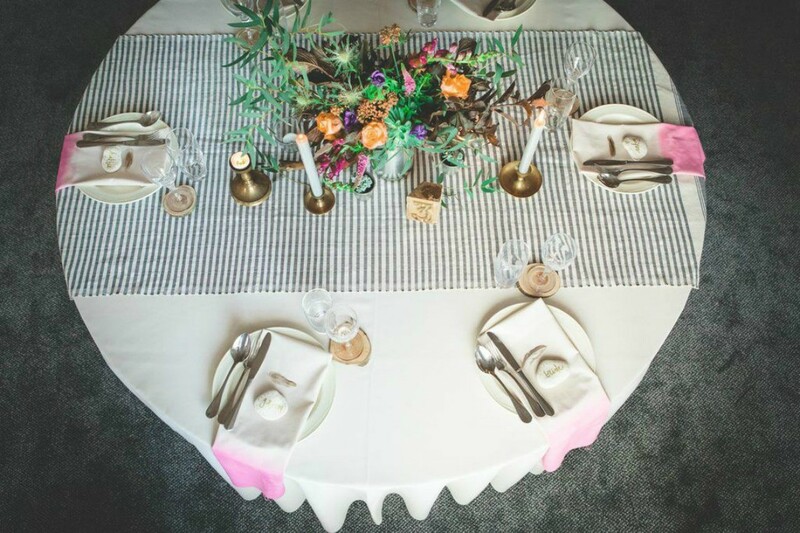 Going boho is all about layering different textures – I created this Modern Boho Summer table top for Norfolk and Suffolk Brides and knew I wanted to create mix of natural elements – from woods, stone and feathers to glass and tin metals for a slightly more edgy finish. 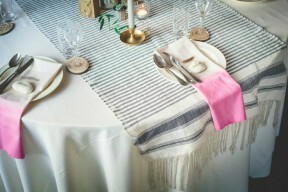 STEP 1 – Firstly I laid down a striped throw with tassle fringing for the base. 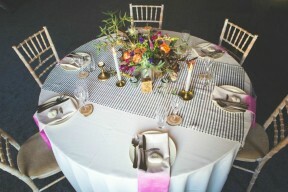 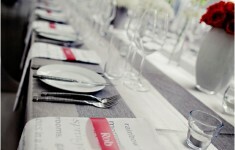 Don’t be afraid to add patterns to your tables they create immediate impact. 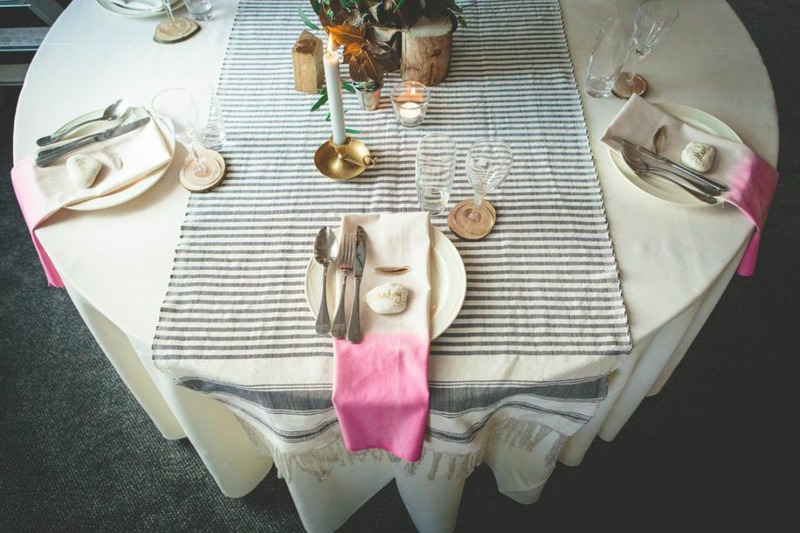 I created DIY dip dyed napkins for each place setting – stepping away from white I chose taupe as a neutral for the neon dip dye. 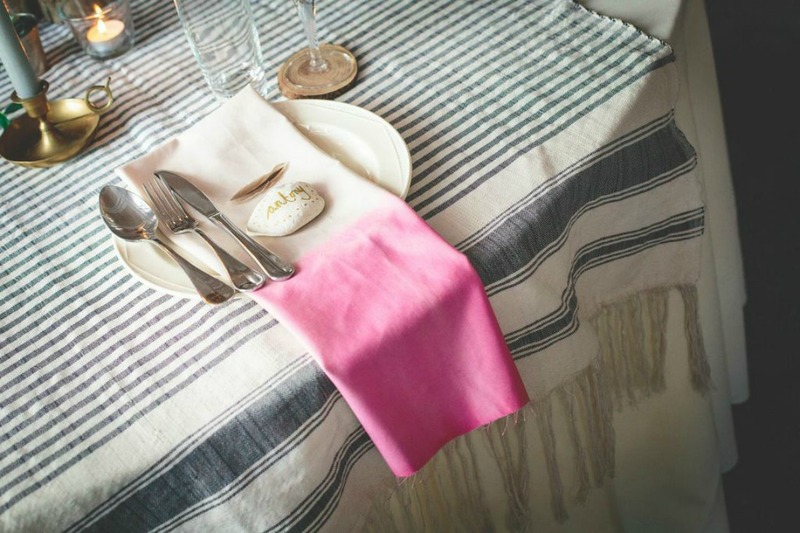 Dip dye is really simple, just follow the instructions on a cold dye packet and leave the end in the dye for the full amount of time, pull half the linen out at half the given time and so on until you can see the dye subtly fading up the fabric. Choose a cotton based fabric for best results. STEP 2 – White pebbles we’re collected at the beach, I love the idea of using found items for a really relaxed concept. 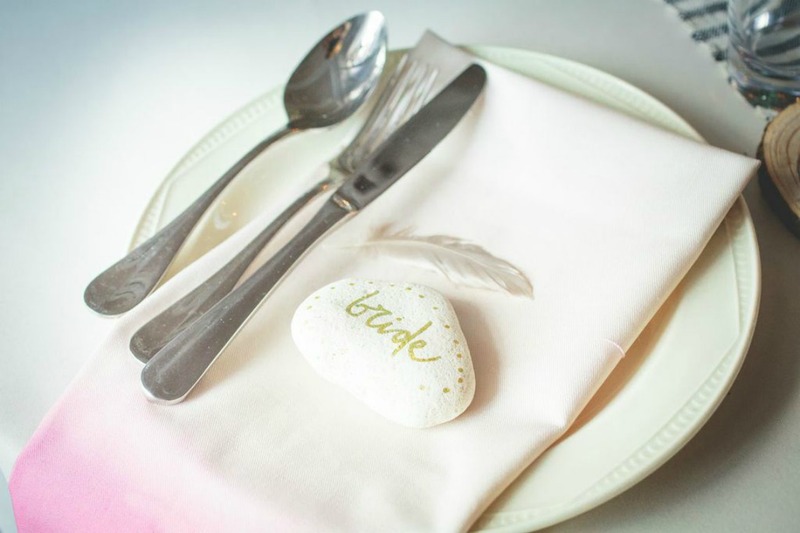 I then hand wrote place names in gold pen and added little patterns at the edge of the stones. 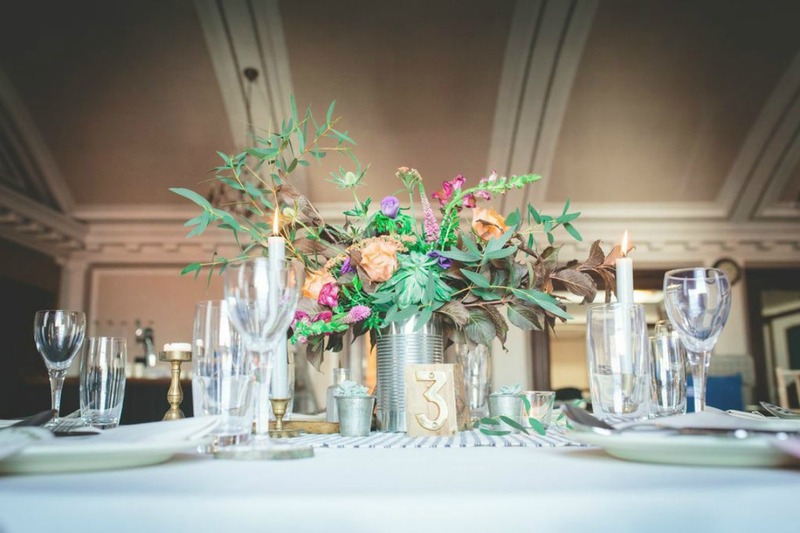 STEP 3 – Using a large tin can as the main center piece, The Country Garden Florist used a mix of bright rosa Julischka, pink veronica, anemones in Mona Lisa blue, olive stems added movement and a succulent added modern cool. 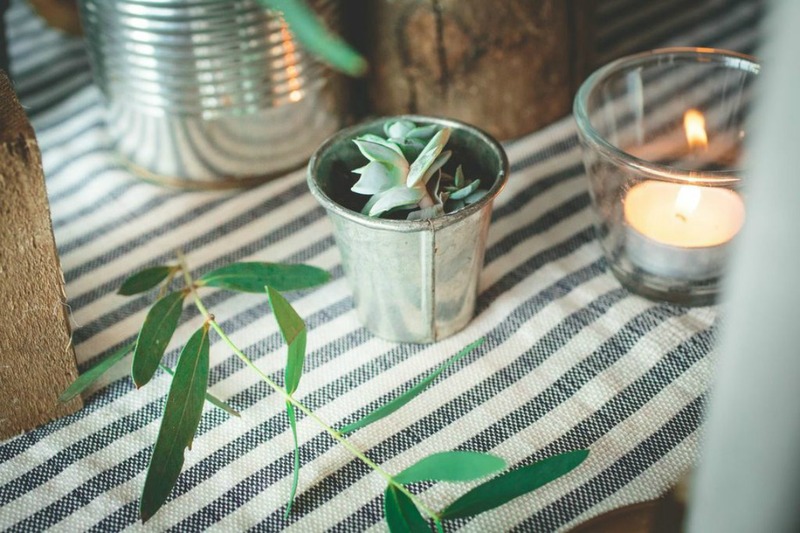 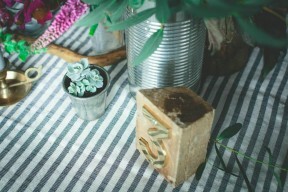 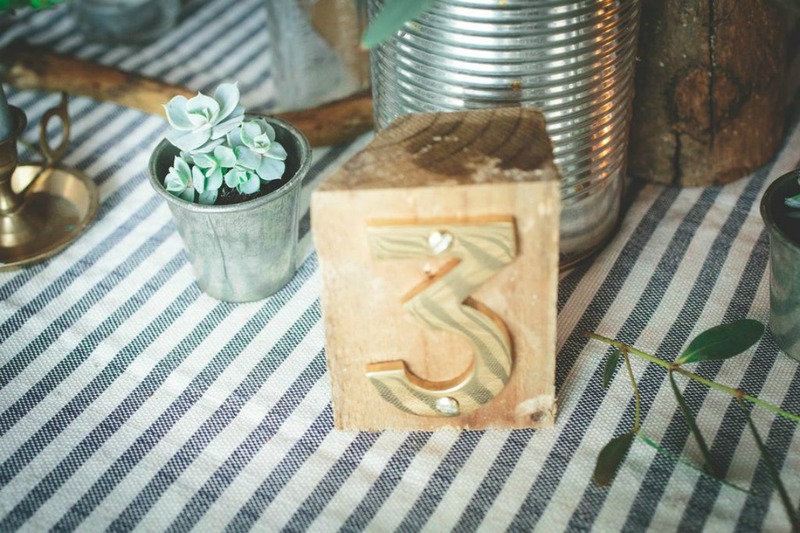 STEP 4 – More succulents we’re added from our range in mini metal tins and a wooden block table number with brass added shine. 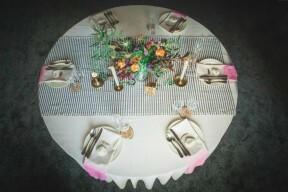 Wood stumps and slices we’re also added under glasses and to create height in the center. 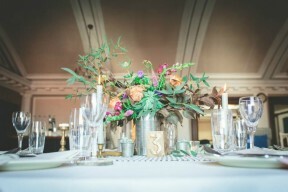 STEP 5 – Candle light was added in little tealights and brass candlesticks we’re paired with grey candles – it helped keep the table grounded with lots of other colour. 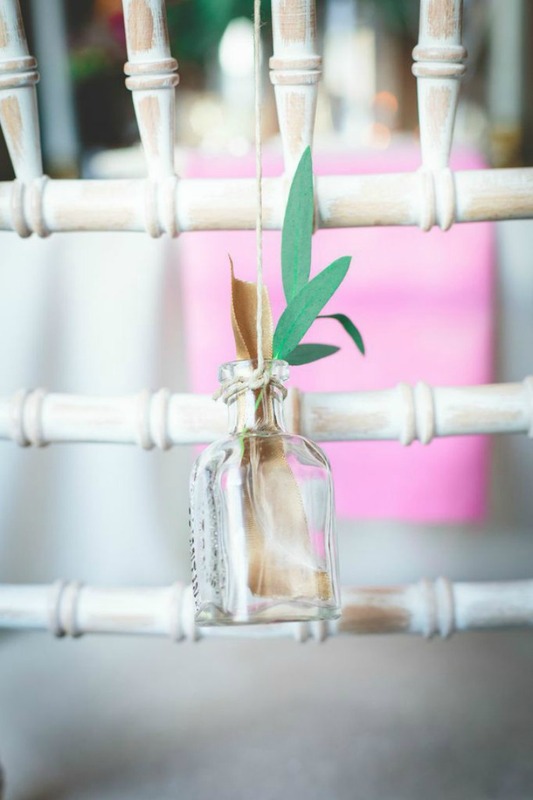 STEP 6 – Single feathers, olive stems and bronze ribbon cuttings we’re tucked inside our Mini glass bottles and tied to chair backs. 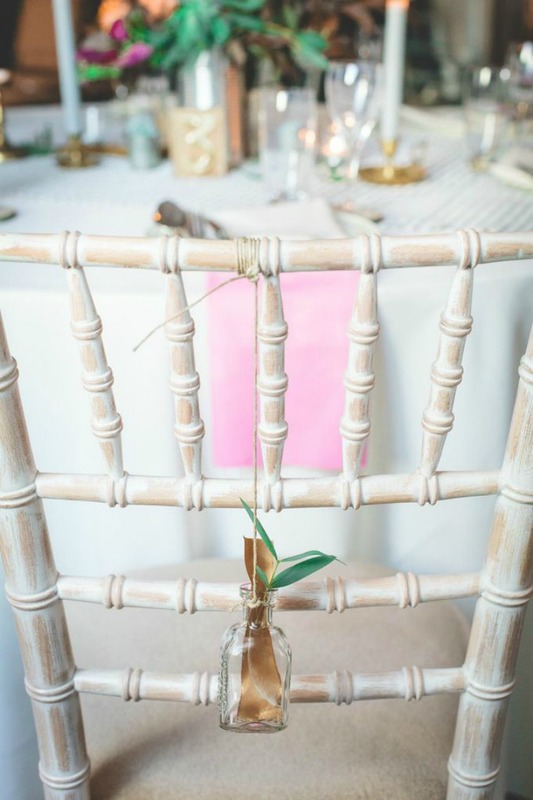 You could tie favours to chair backs too for a sweet surprise for guests. 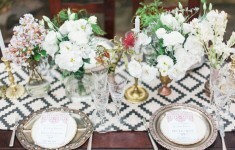 Are you a modern bohemian at heart? Stylist and prop hire: The Little Lending Co.